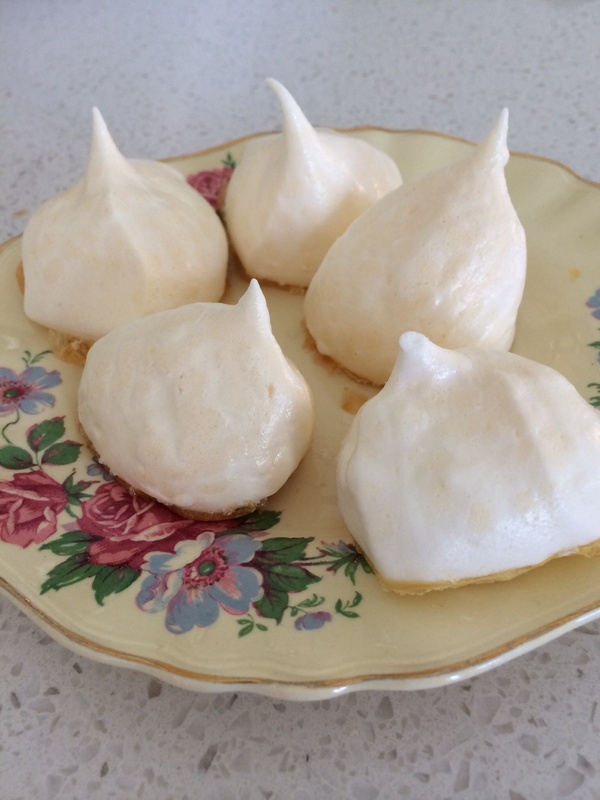 Must admit I’ve not made meringues before but my daughter has and I’ve been told the thermomix produces a great meringues. Found the recipe on the recipe community and had to give it a go. 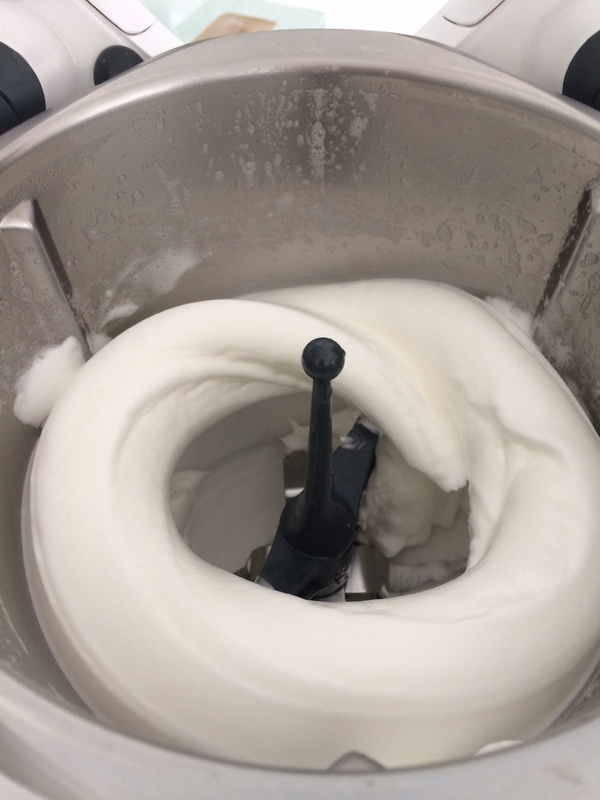 Three egg whites were whipped in two minutes and then slowly added the sugar. 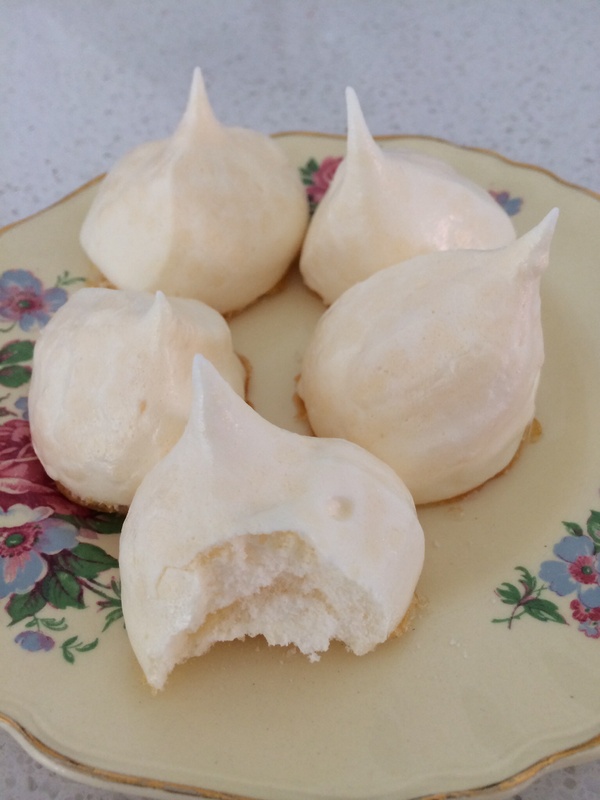 They looked like meringues before they were baked so crossed my fingers and we were not disappointed. They came out lovely after three hours at low heat. There was some crystalized sugar on the bottom of each meringue but my kids loved this. Googling the reasons for this, apparently could have been because I added the sugar too fast. So I put this down to ‘operator error’ and still give the TM5 a big tick. 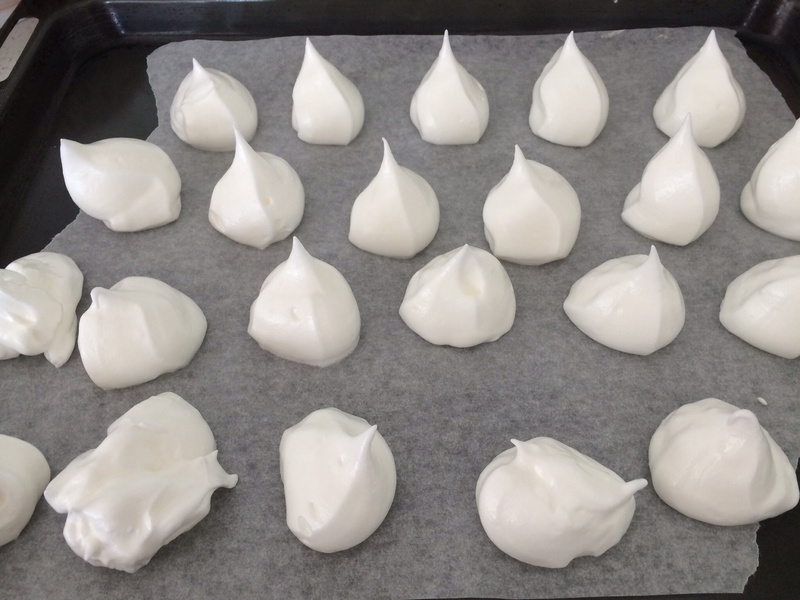 Meringues done! Crispy, light and with a good crunch factor. And still lovely and crisp next day for picnic lunch at the beach. The leftover egg yolks were used to make strawberry icecream which is in the freezer right now. Pics to come tomorrow.